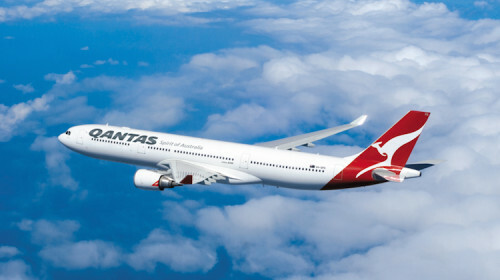 Qantas confirmed 1st direct flight from Europe to Australia: 17 hours onboard! Direct flights from Perth to London will be introduced in 2018 by Qantas, marking the first time Australians will be able to fly direct to Europe. Announcing the new non-stop service, Qantas chief executive Alan Joyce said the 17-hour flights would be the third-longest passenger flights in the world. Mr Joyce said the airline’s new 787 Dreamliner aircraft would be used on the route, which would operate from the domestic terminal at Perth Airport from March 2018. The announcement came after the WA Government ended an impasse with Qantas and agreed to help fund an upgrade of the terminal. Premier Colin Barnett said the state would contribute $14 million for capital works at the airport, to be used for the construction of quarantine and Australian Border Force infrastructure. Qantas wanted the non-stop service to operate out of a domestic terminal, rather than the new international terminal, to make it easier for passengers with connecting flights. Mr Joyce said the new route was “amazing news” for Perth and Australia and was a “watershed for travel, tourism and trade”. “This is a ground-breaking aircraft, on a ground-breaking route for Qantas,” he said. Mr Joyce said the aircraft was specially built for the long journey. Mr Barnett described the deal as “game-changing” and said the local economy could potentially benefit to the tune of more than $36 million per year. It is anticipated that the service will boost tourism to Western Australia. The UK is Australia’s third largest source of overseas arrivals with approximately 660,000 Britons visiting last year. « CHEAPEST flights to San Francisco in history – only €227! !